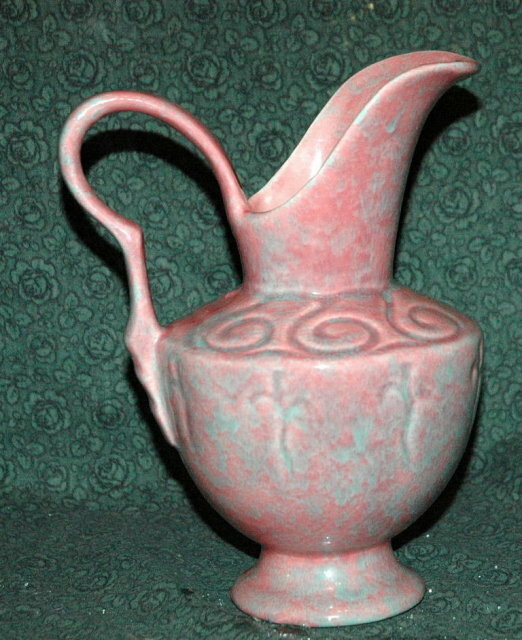 Vintage California Pottery Ewer , 8 1/2" tall, signed numbered. 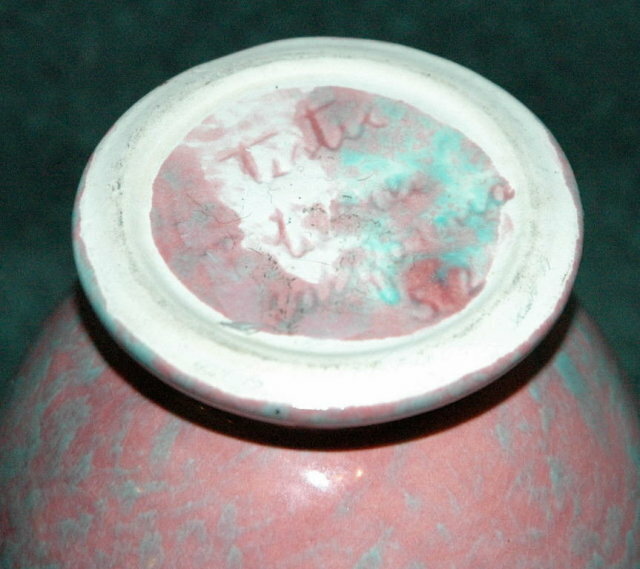 It look like it says "Tirtic (or Tiatic) Wares California 52" The number could indicate a date. It is very pretty with a marbled look of blues and pinks. There are pattern impressed in the clay all the way around of swirls on shoulders & fleur-de- lis on the body. The lip and handle are gracefully shaped. It quite heavy too. The condition is excellent with chips, cracks or crazing. Please check out the rest of my fabulously wonderful & wide variety of estate treasures . You will find my selection not only interesting & fun to browse through but very affordable too. 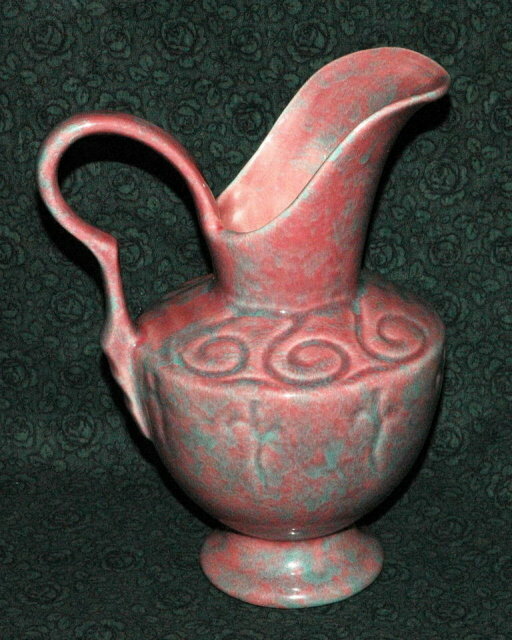 Items Similar To "Vintage California Pottery Ewer , signed"